This case study is provided to explain and illustrate the operation of the concepts involved in Queensland's vegetation management system in practice. The case involved an appeal to the Land Court of Queensland by a landholder against refusal of a tree clearing permit under the Land Act 1994 (Qld) for a pastoral property known as "Khyber". 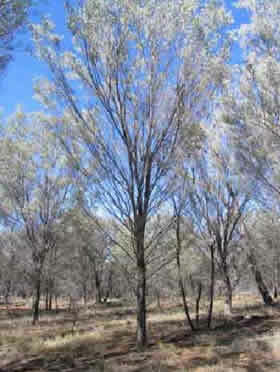 Applications for broadscale clearing such as involved in this appeal are no longer possible due to the phase-out of broadscale land clearing in Queensland in 2006. Virtually all appeals involving vegetation management are now made to the Planning and Environment Court and are subject to the Vegetation Management Act 1999 (Qld) and the Integrated Planning Act 1997 (Qld). While the avenue for appeal considered in this case no longer exists, the concepts dealt with in the case study remain relevant as they form the conceptual basis for vegetation management in Queensland. The case study illustrates the use of regional ecosystem mapping for vegetation management. 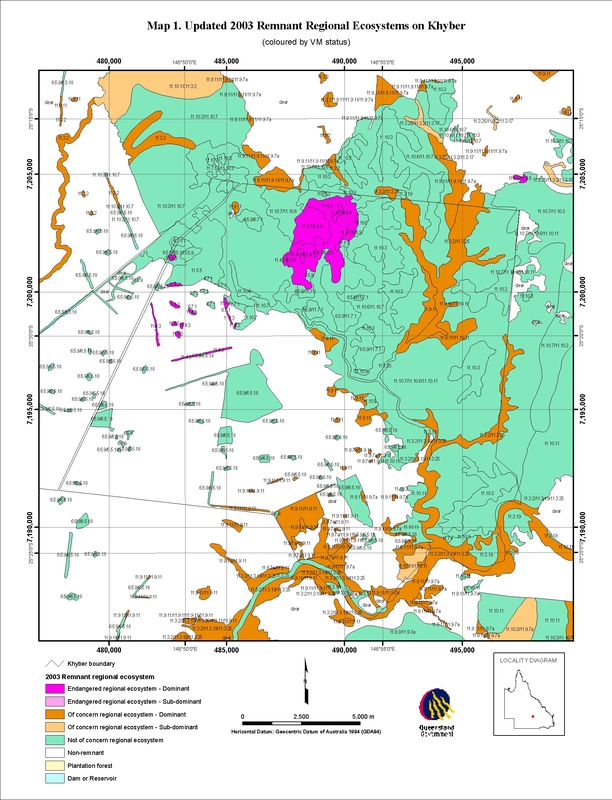 Neldner (2005) provides a detailed explanation of regional ecosystem mapping, including concepts such as landzones and map polygons referred to in the decision of the Land Court in this case. Expert report on regional ecosystems by Dr Don Butler, including photographs of vegetation at pages 25-29 but excluding Maps 1 and 2. Regional ecosystem map of Khyber property (Map 1 of Dr Butler's report). A higher resolution (jpg) version of this map is also available here (1.8MB). Preliminary submissions filed for the Minister for NRMW. Decision of the Land Court in Mackenzie v Minister for Natural Resources, Mines and Water  QLC 0057, including an application of regional ecosystem mapping at paragraphs -. (regional ecosystem 6.5.9) on Khyber.